This is the era of analytics. Decision making based on a thorough analysis of facts and figures is replacing intuitive "by-the-gut" practices. Healthcare payers, with their abundance of data and urgent need to control costs, are in a perfect position to embrace analytical initiatives. This paper serves as a guide to analytics for third-party administrators, plan sponsors, hospitals and other organizations seeking to contain healthcare costs. It explains the rise of analytics and its acceptance by the healthcare industry. With the changing healthcare environment and emerging analytic trends, a plan for launching an analytical initiative is prescribed. 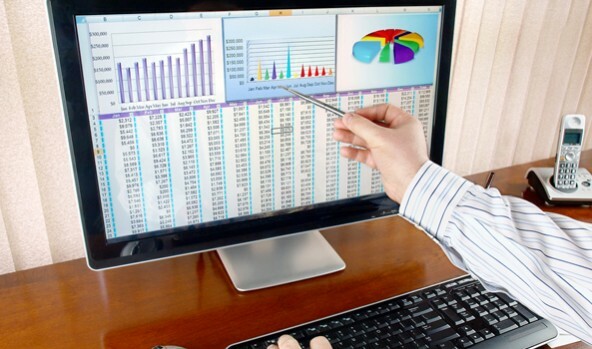 Analytics refers to the practice of creating actionable information through the sophisticated analysis of data. Analytics and reporting are different, but analytics do involve an element of reporting. The difference is that reporting provides retrospective, flat statistics while analytics are forward-looking and multidimensional. The extra dimensions provide advantages such as drill-down capabilities, trend tracking, enhanced data correlation and budget forecasting. The rise in analytics began around 2003. During this time, technology-based organizations such as Google, Amazon and Netflix were dominating markets by using complex analytical systems. However, it soon became apparent that analytics had applications in other industries. Sports teams such as the Boston Red Sox began recruiting top-line statisticians to develop myriad ways to judge player performance. A prominent casino reaped millions of dollars worth of customer retention by analyzing minute data points, such as the number of smiles its employees gave in certain intervals of time 5. The list of creative uses for analytics is virtually limitless and the outcomes are rather impressive. In markets where new competitive ground is scarce, analytic breakthroughs are acting as springboards for forward-thinking organizations. Now analytical practices are expanding to the healthcare industry. Experts predicted that healthcare analytics would see a large increase in 2011 and 2012, and so far the prediction has proved to be true 3. The rise of analytics comes at a fortunate time for the health benefits industry. Healthcare costs are exploding out of control and cost containment is critical. A recent study by the Kaiser Family Foundation, a prominent nonprofit research group, indicates that the average annual premium for family coverage increased 9 percent in 2011, to an average of $15,073. This is more than double the cost of family coverage in 2001, when premiums averaged $7,061 11. The complications causing this instability will likely affect the market for some time. One sustaining cause of the rise in healthcare costs is the aging population. The "baby boom" generation (those born between 1946 and 1964) is arriving at old age. By 2020, the number of Americans older than 65 will rise by more than 19 million to a total of 54 million 8. Because older adults consume a disproportionately high amount of medical services, the demand for medical treatment is expected to increase over subsequent years. Another reason for the ongoing increase in healthcare costs is changing legislation. The Patient Protection and Affordable Care Act (PPACA), signed into law by President Obama in 2010, will take full effect in 2014. However, important provisions became effective in 2010 and others continue to roll out. The legislation affects large and small companies differently, but it generally places higher demands on employers that provide health benefits to their employees. Finally, advances in medical technology are increasing healthcare expenditures. Typically, technological developments lead to lower prices, but for medical advances this is not always the case. For example, some new procedures allow for treatment of previously untreatable conditions. Other scientific breakthroughs have created expensive but effective treatments for terminal diseases such as heart disease and HIV. Demand is extremely high for new treatments that consequently inflate healthcare prices 10. The rapid development of new pharmaceuticals contributes to the rise in healthcare costs as well. The government awards pharmaceutical companies with patents that create monopolies on new drugs. This helps the businesses offset the immense cost of drug development and generate profits10. However, it also leads to consumers paying much more for a drug than what it costs to manufacture. On a macroeconomic scale, this is not cost-efficient past a certain point. Current regulation also incentivizes companies to develop drugs that make only small improvements over existing medications. Pharmaceuticals like Nexium and Clarinex are products of this kind9. Expensive "specialty drugs" make up most of the new drugs on the market and will likely account for roughly two-thirds of the projected increase in drug spending between 2010 and 2013 7. Many factors are affecting the market, but these are the most significant and prolonged among them. Unfortunately, experts are not forecasting the stabilization of healthcare costs in the near future. In unfavorable market conditions, analytical reporting tools open new doors for healthcare payers. Traditional uses for analytics include budget forecasting, rate setting and identifying individuals for chronic-care management. However, because of the capabilities and opportunities analytic reporting provide, the number of applications continues to grow. New approaches to using analytics include financial and clinical algorithms that allow healthcare organizations to implement advanced methods to identify, manage and measure risk within a population. The analyses detect correlations between multiple related data sets. Once an outlier is located, it can be drilled down upon and fully investigated. Contrast this streamlined process with how employers struggle to receive claims data from plan administrators. Without access to this information, employers have little choice but to base decisions on what has happened as opposed to what is likely to happen as predicted by forward-looking analytics. With full exposure to claims data, many organizations use analytical auditing tools to shrink healthcare and pharmacy costs. With auditing capabilities, companies get a better picture of their plan and can renegotiate with their carriers for better pricing. Also, employers that internally monitor carriers can verify that pharmacy discounts are truly being applied. Analytics play a large role in making plan participants accountable for their own health. Employers can hone in on which intervention programs are needed and which members have care gaps, then adjust health coverage accordingly. Plan participants who choose not to participate in these programs or refuse to comply with recommended treatment may find themselves paying more for their employer-sponsored health plan. Chief financial officers and other executives use analytics to empower cost centers, especially human resource departments, so that they affect revenues. Where health plans are concerned, HR normally works between the company and the employee. For this reason, HR specialists tend to manage plans in a way that is not equally beneficial to both the employees and the company, making plans more costly than they need to be. With analytical applications, HR departments operate with bottom-line costs in mind and manage plans more equitably. Occasionally, an analytical initiative will innovate and affect processes in such a way that it creates great change within an organization. "Breakthrough applications" are those analytic platforms that are engineered to accomplish positive transformations. 3) drive informed action 2. Many new analytic platforms provide these results. Analytics have created a new frontier of cost containment for healthcare payers. However, there are some barriers to success in this process. Because analytic platforms are powerful tools with breakthrough capabilities, they take time to master. Is the platform suitable for someone with limited time? How will my organization learn to use this? Is this something that needs to be constantly monitored or does it feature automated processes? How committed is the platform's provider in helping my organization learn their product? Is it simple enough to be used by the less technical-minded people, yet sophisticated enough to produce valuable information? How long will it take my organization to learn to use this? Will a basic understanding of office software help in learning this platform? What in-depth features are included? Is the data easy to export out of the system? What upfront technology investment will be needed to use this platform? Clearly, the application of analytics to health benefits management is a rapidly growing practice. However, steep learning curves with users in learning to uncover the "gems" in the data can be detrimental to the success of analytical initiatives. For many analytic platforms, it is necessary that users learn a whole new computer skill set. The difficulty is comparable to using a program like Excel for the first time. An ideal analytics solution will have a strong answer for this problem. Cloud-based analytic solutions are popular because they can eliminate the need for expensive upfront capital investments in technology hardware and can be accessed from any computer with an Internet connection. Overall, a good goal to have when shopping for an analytical solution is to select a manageable, capable platform with functions similar to common office software; the solution should also provide ongoing consulting support. The inspiring companies and individuals responsible for the rise of analytics have changed the business landscape. Existing data records can now breathe new life into business practices with transformative results. The advent of analytics could not have come at a better time for the data-rich health benefits industry. Healthcare costs will likely continue to rise due to persistent, large-scale trends affecting the market. With analytical tools, healthcare payers have the means to bring costs back down. Organizations seeking an analytical solution should recognize the existence of a learning curve. Expert consultation and ongoing guidance are effective ways to overcome this obstacle. Platforms that offer abundant personnel support should be strongly considered when choosing an analytics solution. Abelson, Reed. "Health Insurance Costs Rising Sharply This Year, Study Shows." The New York Times. Sept 28, 2011. Page A1. Bloor Research. "Building Breakthrough Applications." Prepared by Philip Howard. London, Oct 2011. White paper. Page 1. Davenport, Thomas. "Analytical Integration in Healthcare." Analytics-magazine.org. Web. Jan 2012. Davenport, Thomas. "Are You Ready to Re-engineer Your Decision Making?" MIT Sloan Management Review. Oct 1, 2010. Volume 52, Number 1, pages 1-6. New Science of Winning." Boston: Harvard Business School Press. Desa, Manish. "Reporting Vs Analytics". My Business Analytics. Mar 29, 2011. Web. Accessed Feb 20, 2012. Medco. "2011 Drug Trend Report." Web. 2011. Volume 13. National Center for Health Workforce Analysis, Bureau of Health Professions, Health Resources and Services Administration. "The Impact of the Aging Population on the Health Workforce in the United States: Summary of Key Findings." Center for Health Workforce Studies, School of Public Health, University at Albany. Web. Mar 2006. Porter, Eduardo. "Do New Drugs Always Have to Cost So Much?" The New York Times. Web. Nov 2004. The Henry J. Kaiser Family Foundation. "How Changes in Medical Technology Affect Health Care Costs." Snapshots: Healthcare Costs. Web. Mar 2007. The Henry J. Kaiser Family Foundation. "U.S. Healthcare Costs." Prepared by Adara Beamesderfer and Usha Ranji. Web. Feb 2012. "Campbell specializes in using analytics to integrate medical and pharmacy data helping organizations make informed decisions about their health benefit plans." ‍Ginger Campbell is a nationally recognized consultant in the pharmacy benefit industry with more than 23 years of experience lowering pharamacy benefit costs for self-funded benefit plans and Third Party Administrators (TPAs). Before joining BancorpSouth Insurance Services, Campell served as regional marketing director with Express Scripts for 11 years. During that period Campell managed pharmacy benefits for over 1,000,000 employee lives.Campbell's current focus is on providing analytical and quantitative solutions for third party administrators, plan sponsors, hospitals and other organizations. Campbell specializes in using analytics to integrate medical and pharmacy data helping organizations make informed decisions about their health benefit plans. She consults with clients on how to use their data to improve overall employee health plan efficiency, plan performance and contract audits.